Last night we got in and as my phone connected to the wifi, I got a Guardian news alert. Something going on in Westminster. It didn’t feel real to watch this on TV. 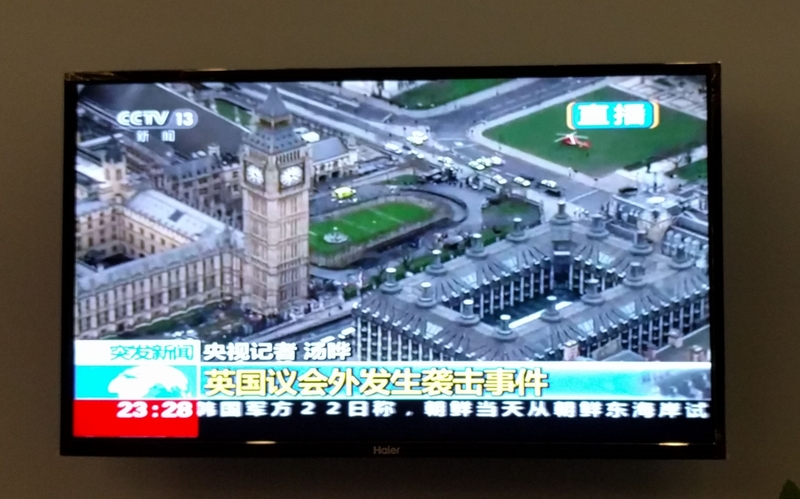 I can’t follow Chinese news very well but there wasn’t really anything to be said. It’s so sad for all the people injured or killed. Hopefully London doesn’t give in to fear. Terrorists want to spread terror – I refuse to be afraid. I really have nothing much else to say. I just felt I should mark this in some way.